The variety of instruments used in traditional and vernacular music in Mexico is impressive. These instruments include standard European brass, wind, percussion and string instruments as well as instruments native to the Americas. Because of the historic isolation of Mexico’s many diverse regions, instruments vary widely from region to region. However, the trends of the late 20th century toward commercialism and standardization of traditional music have endangered many of these unique instruments. 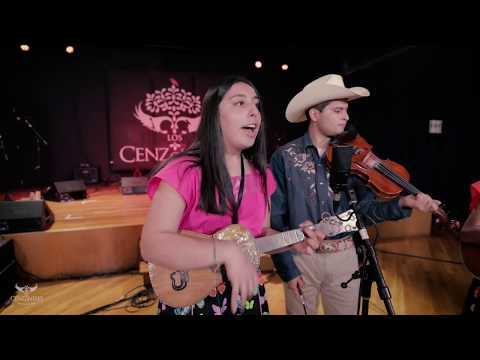 Los Cenzontles make efforts to learn traditional instrument technique and tunings in order to express the music in its intended texture. This is not only to preserve tradition, but also to continue to explore the interesting sounds that the instruments were created to produce. Please note that this page only has instruments, mostly string, played at Los Cenzontles. There are many more wonderful instruments that we know very little about. We encourage you to let us know about other web pages with information about them to establish links. The string instruments that were introduced to Mexico by the Spanish during the 1500’s and beyond were very different from the guitar we know today. They were renaissance and baroque instruments that came in a variety of shapes and sizes. These instruments, in turn, evolved differently in the various regions that they were adopted. The jarana of the Jarocho region in Southern Coastal Veracruz, looks very much like the thin guitars of the Baroque era. And like the old guitars, it has five courses, three of which may be doubled, giving it eight strings. It also is made in a variety of sizes. The smallest jarana is the chaquiste, then the mosquito, the primera, segunda, tercera and cuarta. The instrument is strummed with the nails. Because of the intense humidity of the Jarocho rain forests, jaranas became constructed from a single piece of wood with a top attached. This limits the use of glue and helps the instrument survive the humidity. There are seven known tunings but the most common is (from the fifth to the first) G-C-E-A-G.
Like the jarana, the guitarra de son, sometimes known as the requinto jarocho, is made from a single piece of wood. It also comes in a variety of sizes: the largest being the leon, a bass instrument, the leona, and upward. Its four strings are plucked with a plectrum of horn called an espiga or a plastic pick. Traditionally the espiga is used and is struck downwards only. Because many modern players want to play quickly they may use a guitar pick. Its tuning is either G-A-D-G or C-D-G-C. The arpa, or harp is the most famous of instruments from Veracruz, Michoacan and Jalisco. It traditionally plays chords both in blocks and in arpeggios and is diatonic. It will often play the bass in groups with no other bass instrument. The Huasteca region also has a jarana, the jarana Huasteca.It is a little strummed five-string instrument with a deep body. Its tuning is G-D-G-B-E. A skilled jarana player makes a special golpe or azote that has a bright clicking sound with the back of the nails. The guitarra quinta or huapanguera is another strummed instrument found in the Huastecan trio. It is a deep guitar with the tuning G-D-G-B-E. It provides the bass for the son huasteco. The violin is an important instrument in many Mexican regions including the Huasteca, the Jarocha region, the mariachi regions, Tierra Caliente, among many others. In many regions it is also constructed by a single piece of wood. The vihuela is a five-string strummed instrument with a concave back played in a number of styles in Western Central Mexico including the mariachi and sones from Michoacan. Its tuning is A-D-G (an octave higher)-B-E. The guitarron looks like a large vihuela. It has six strings and plays in octaves. It has no frets and provides the bass lines for the mariachi. It is tuned A-D-G-C-E (an octave higher)-A. The tololoche is an upright string bass, usually a smaller version that is tuned up a 4th from a concert string bass. It is generally plucked in conjuntos nortenos, Michoacanos and many other regional styles.